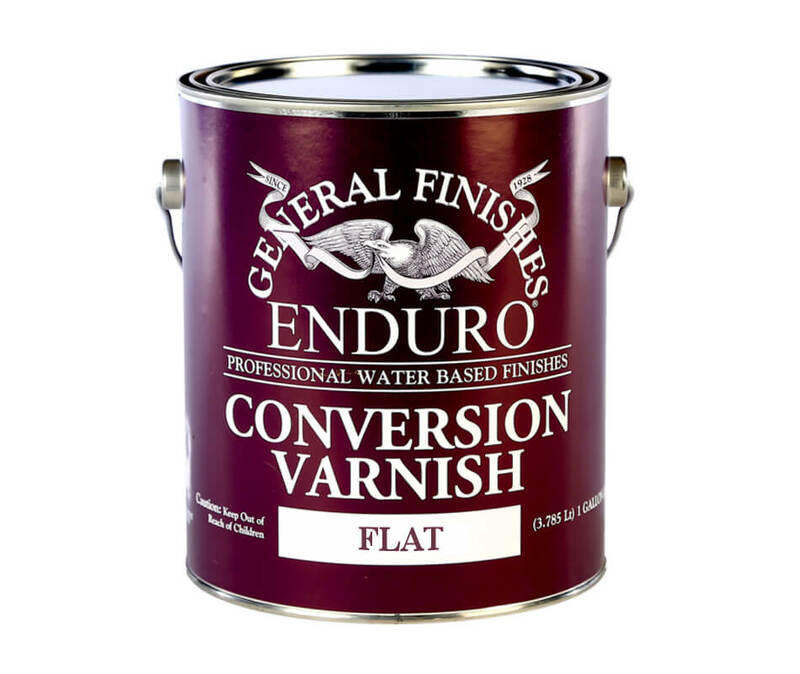 Enduro Conversion Varnish is the latest addition to our professional water based product line. Enduro Conversion Varnish is the latest addition to our professional water based product line. It is a two component post catalyzed urethane topcoat suitable for bar tops and commercial applications where ultimate durability is necessary. 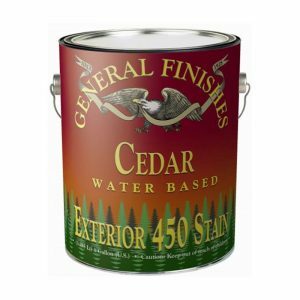 General Finishes Conversion Varnish has a 6-8 hour pot life once catalyzed and can be re-coated in 1-2 hours. Sanding: Sand bare wood to 220 grit. 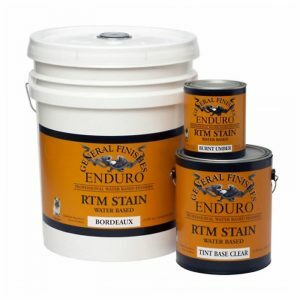 Additives: Extender, adds more open time. Accelerator, quickens dry time. Do not use Crosslinker use the correct NCO catalyst. Application: Spray only – has excellent flow and level for heavy duty wear surfaces. 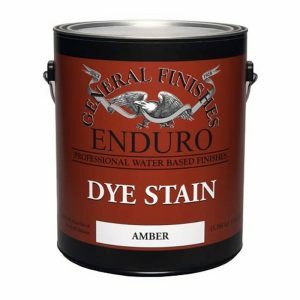 Coats: 3 coats, additional coats can be applied depending on use. Spray Tip Sizes: Tip sizes recommended: Compressed Air .040, HVLP-.043-.051, Airless .009-.013. Air caps should be medium size.